"There are many reasons why it took me 5 years to release a new cd. Family life is one of them, I have become the father of 2 beautiful girls, but the most important reason is that I was focused on my work as a composer and arranger. One of the biggest projects I did was the composition of my first opera ‘Katibu di Shon ‘, the first one to be sung in my native language Papiamento. But at some point I started to miss being a jazz-pianist, playing my own music, improvising, I missed the interaction on stage with my fellow musicians." Randal decided it was time to go back to the one thing he like to do the most! Only this time he wanted to do things differently. Instead of recording standards and originals, Randal wrote all the music for this cd. He choosed to be more contemporary, more experimental and wanted to work with musicians who would challenged him to break new grounds in his playing. The quartet is consisting of some of the finest young musicians from the Dutch music scene: bassist Glenn Gaddum Jr, drummer Mark Schilders and percussionist Vernon Chatlein. “Despite their young age they are already very accomplished and experienced musicians, and with their incredible talent and enthusiasm they have managed to add an extra dimension to my music” says Randal Corsen about his quartet. Proud of his Antillean roots, he has always consciously incorporated elements from Antillean music in his compositions. This time he realized that his musical heritage would always be a part of him and of his music, no matter what music he writes. For composing the opera he had to break with all traditions in the typical Antillean music that he know so well. It gave him so much freedom as a composer, having only the ‘limitations’ of the libretto. But for Symbiosis, he gave no limitations! The music is primarily jazz, but there are still traces of Antillean, Latin, Caribbean, classical, funk, rock and every other music stule that he has encountered along the way. “This recording not only represents the Symbiosis between my playing and that of my fellow musicians, it also reflects my own musical symbiosis, which is a result of my musical journey till now. I’m very proud of this work, and I hope you like it!" "Who really loves bright, virtuoso pianomusic playing and balanced elaborate rhythms, should put on 'Symbiosis' "
""It represents his own musical journey. 'Homecoming' and 'Dear Friend' are exciting tracks. Very sensitive and beautifully is 'For Christine & Michelle' which is dedicated to his daughters""
"Their interplay totally fits, is exciting and shows us all dimensions of the genre, from influences from Curacao to Camilo-jazz and fusion. Insanely good." ""Prove it! has symfonic allure. Dear friend is a polyrhythmic piece of art. Triangulo means triangle. 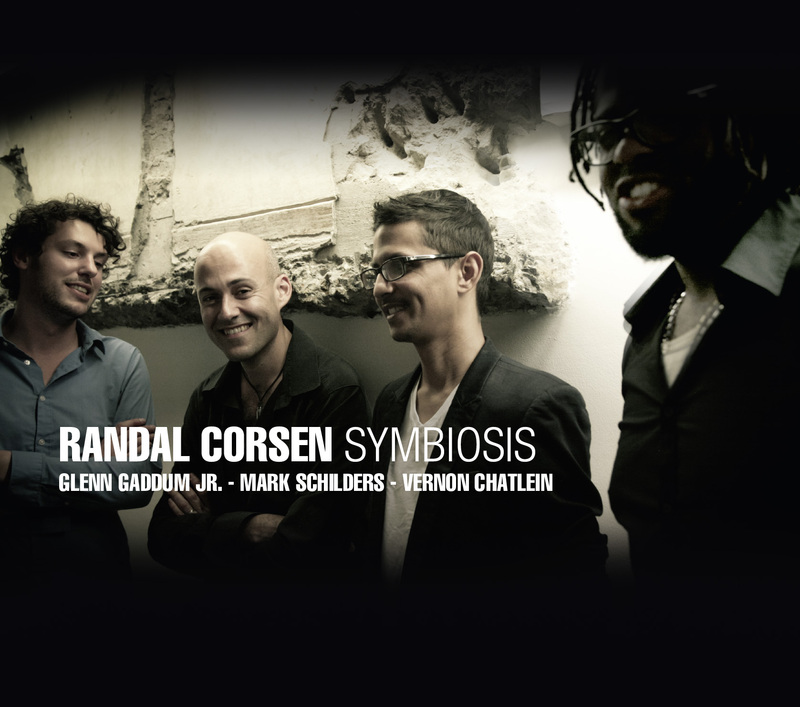 After 5 years, Corsen is back to the jazzworld ""
"Symbiosis sounds contemporary, strong, energetic and yet melodic." "The music is mostly lyrical, but the polyrhythms and block chords make the jazz also solid and earthy - the energy is expressively tumbling." "With this album, the pianist emphasizes once again on his Jazz Roots." "His music is full of (poly) rhythmic refinements"